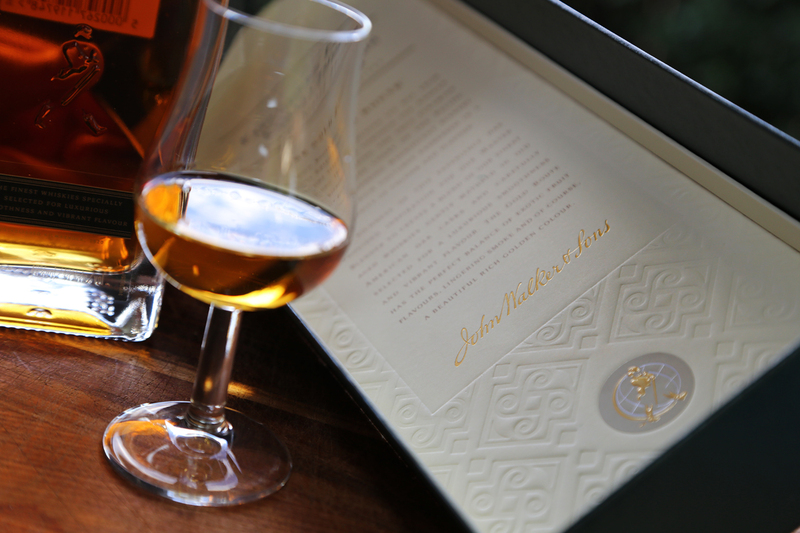 I think it’s fair to say that Johnnie Walker are best known for their mainstay blended whiskies, the kind you’re likely to find on pretty much every back-bar across the globe. They’re not one to put their feet up and stop experimenting though. Their quest to continue focusing on developing and understanding alternative flavour profiles has led them to the launch of the new sub-range known as the Blender’s Batch series. On the nose I got some sweet vanilla grain notes, runny caramel sauce and a hint of soft spice. Digging deeper, a touch of fresh pineapple, grilled peaches and maybe the faintest suggestion of mint. If I had to characterise the nose, I’d probably refer to it as round and creamy. It’s fairly thin on the palate (to be expected given the low ABV), but it carries that creamy sweet grain profile nicely. A touch of spice (baking/ mixed spice), vanilla and some orchard fruits present themselves in what is a fairly balanced delivery. As for what’s in the bottle? I’m not entirely sure to be honest! But we’re told it contains a decent amount of malt whisky from Cardhu (the backbone of most Johnnie Walker expressions), along with grain whisky distilled at the now-closed Port Dundas distillery. For those of you playing at home, Port Dundas closed in 2010 so the grain component would have to be at least 5 – 6 years old. The remaining malt and grain components could come from any number of Diageo’s other distilleries, but any guess on my part would be purely that. The components were all matured in first-fill American Oak casks, before being finished for up to six months in ex-rye whiskey casks. You’ve probably already guessed it from the photos, but I was recently invited along to the Australian launch held at the brand new Bouche on Bridge Street, Sydney. Sean Baxter, a man who’s equally enamoured with the idea of developing magical flavour profiles – as Jim Beveridge and his team – treated us to an evening of decadent food and cocktail pairings with some help from the Bouchon on Bridge team. Whisky cocktails can be hit and miss in my opinion and rarely do I have a ‘wow moment’ when drinking them, but these were all executed to perfection in my opinion. Big props to Sean and Matt Linklater (pictured above) for brining us these seriously tasty treats. The new Johnnie Walker Blender’s Batch Red Rye Finish is already available in good bars and has started to hit shelves at a retail price of around AU$50 a bottle. For more cocktail inspiration using the Johnnie Walker Blender’s Batch Red Rye Finish, check out this link. As always, a sincere thanks goes out to the team from Diageo and Leo Burnett for the generous invite to an enjoyably decadent evening. I didn’t know a single thing about it, so I hit the ole’ interwebz to do a bit of research and reading to get a better understanding of what I was about to taste. 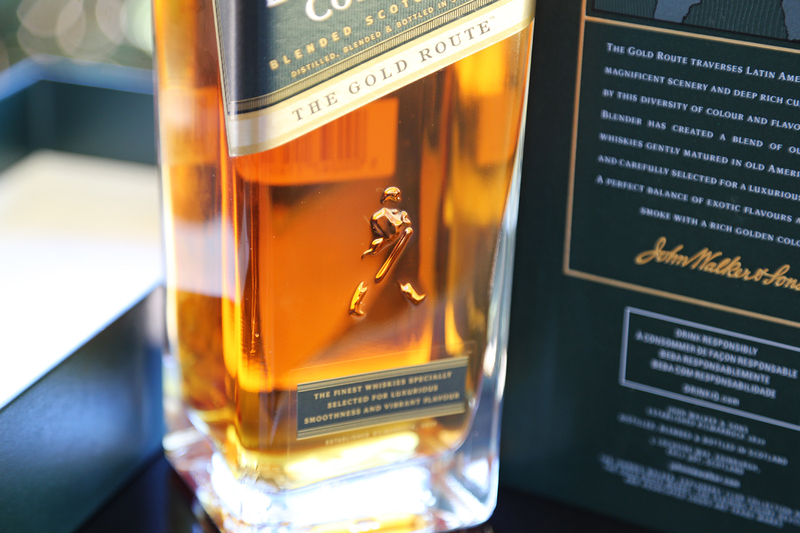 Launched around March 2013, The Gold Route is the second release in the Johnnie Walker Explorers’ Club Collection – Trade Route Series (what a mouthful). It followed on from 2012’s The Spice Road and preceded the final release in the series, The Royal Silk Route which came out in October last year. 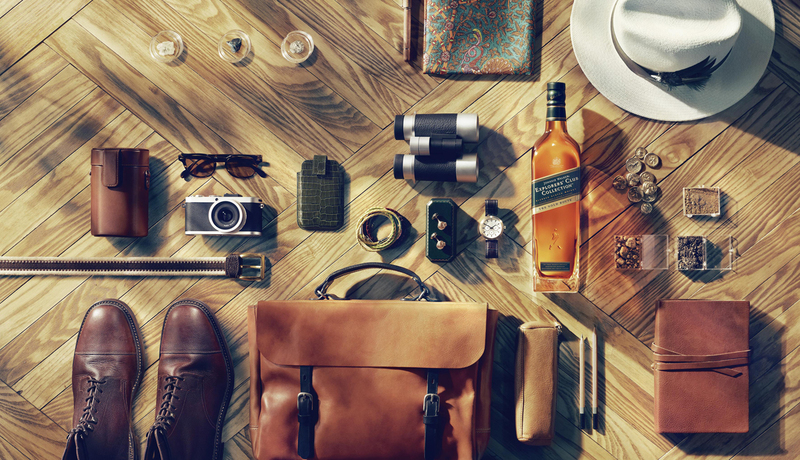 A series of three duty free/travel retail exclusives, the Trade Route Series pays homage to the travelling heritage of the John Walker & Sons agents who journeyed the world, bringing the Johnnie Walker brand to over 120 countries by the 1920s. It’s a well-presented whisky, that’s for sure, and it’s not hard to see why someone travelling through an airport would be attracted to it. This particular expression pays tribute to The Gold Route (or The Route of Gold), which runs through Central America, the Andean mountains and along the coast of the Pacific Ocean. The gold to come out of this region was used in some of Europe’s most well known churches and palaces and also provided some of the wealth on which cities like Rio and Lisbon were built. 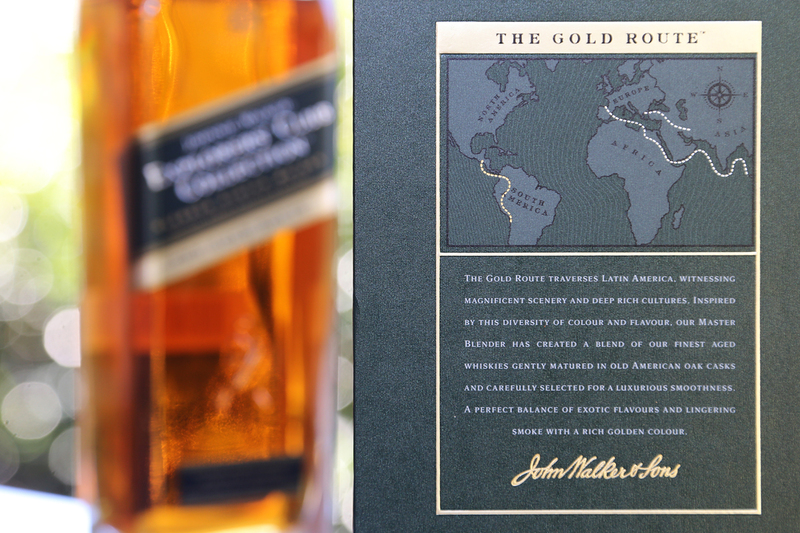 Not surprisingly, Johnnie Walker’s owners, Diageo, were able to put together a pretty impressive marketing campaign for this release (and indeed the whole Explorers’ Club Collection). Although it was likely dreamt up by a clever marketing department, the whole celebration of travel and trade theme ties in rather nicely with the fact that it was only available in travel retail. I sometimes wonder how many purchasers would actually make that connection for themselves, but in any case, I noticed it and thought it was a nice touch. Sweet peat, a few meaty sherry notes, quite sooty and malty with hints of vanilla and some light coastal notes in there. A few months later, much softer and sweeter, really faint underlying smoke (almost completely gone), more of a zesty lemon tang kind of note, a touch of honey and some papaya hidden in there somewhere. Despite the comments above, I would still call this a light-weight nose. Not overly heavy or deep (if that makes any sense). First impression is that it’s thin and has a really soft entry. A decent amount of medicinal peat, tart orange marmalade, very little heat and very little spice. A few months later, quite a bit sweeter than I remember, hints of raisin, very little-to-no peat on the palate and a bit grainy. Initially it was much peatier and smokier than any JW expression I’ve tried before, but that seems to have faded dramatically. I must admit, I was somewhat surprised with this release (in a pleasant kind of way). 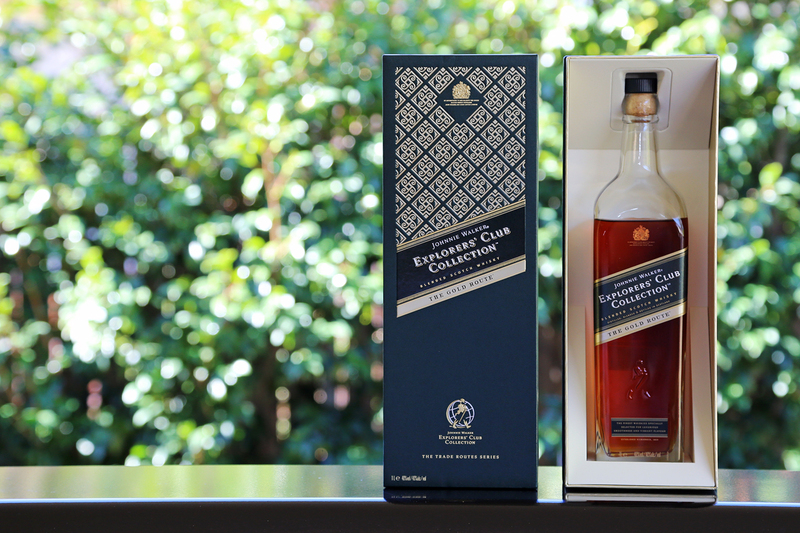 I’ve never been overly thrilled with the Johnnie Walker’s I’ve tried to date. Not because of the whole ‘blend stigma’, but because I’ve always just found them a bit flat for my liking and lacking in any kind of complexity. This on the other hand does actually have some degree of complexity to it. It’s got a rather interesting nose and the palate leaves you curious as to its make-up. I do have to say though, the nose and palate on this changed dramatically between the time the bottle was first opened and month or two later. I’m not sure which nose I prefer, but the bottle has lost almost all of the smoky-peat notes on both the nose and palate and is generally a bit sweeter. Overall, it’s still too thin, young and grainy for my liking, but it’s a pretty solid offering. I know big one litre bottles are a travel retail thing, but for someone who enjoys their whisky neat, I would rather have seen this in a 700ml bottle, bottled at 43% ABV, instead of one litre at 40% ABV. I think that would have gone some way to helping the thin mouth-feel and short finish. The Gold Route retails for around AU $90 in Sydney, which isn’t too bad and I’m sure it’ll sell quite well.